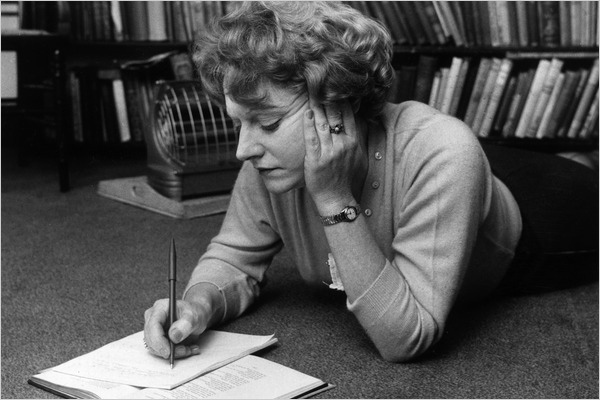 This is a good time to write about Muriel Spark because we are still in her centenary year. 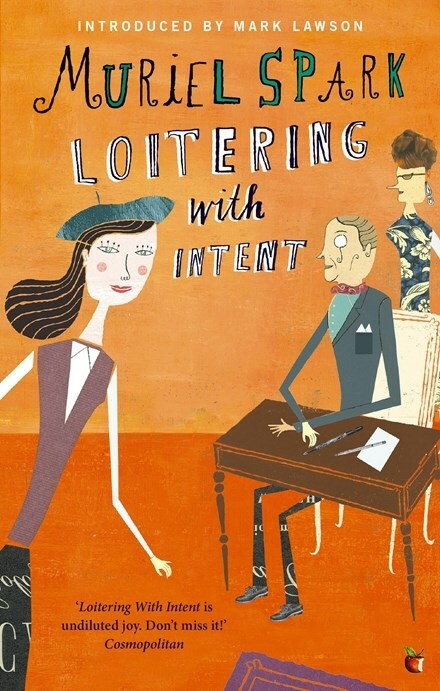 With her economy of style, she was the master of the sparkling witty yet meaningful novella. 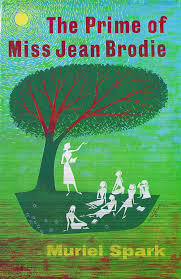 I have been a great fan of her work since even before I became devoted to literature, having read ‘The Prime of Miss Jean Brodie’ in my college Contemporary Literature class. The young women have one Schiaparelli dress gown between them, and they take turns wearing it on dates. Later there is a fire. Spark was born and spent her childhood in Edinburgh, Scotland, but later she lived in London, Rhodesia, New York, and Italy. Graham Greene recognized her talent early on and financially supported her when she was a young struggling writer. She wound up writing 22 novels in all. Reading Muriel Spark novels is the ideal way for a person to slide into literature as the novels are all novella length and easy to relate to. Spark is sometimes called a Catholic novelist, but I was brought up a dyed-in-the-wool Protestant and that did not interfere at all in my appreciation of her work. Just about anything can happen in a Muriel Spark, and it isn’t always realistic. However it always does make a kind or cruel point. ‘The Abbess of Crewe’ is about the head nun of a convent secretly recording the conversations of all the other nuns a la Watergate. ‘The Ballad of Peckham Rye’ is about a London neighborhood beset by a Scottish migrant who wreaks havoc. Spark is one writer who was able to come up with a totally different plot for every short novel she wrote. I am quite positive there are some wonderful ones that I have missed. I love Muriel Spark! I reread her books (except her autobiograph) four or five years ago, because they were perfect at the gym. Since it’s her centenary, I should read something in her honor. I agree–she’s great. Nobody like her these days. Has British lit seen its glory days???!!!! I’m reading a Northern Ireland writer ( age 53) at the moment who I have never read before and who is very impressive. I won’t mention the name now, but my review will show up in a couple of weeks. As always there are some great writings coming out of the British Isles. Another name I would mention is Aminatta Forna, especially her ‘The Hired Man’. Yes, novels by Muriel Spark would be perfect for exercising. Thanks for the reminder that I should make an effort & hunt up her novels. Such an imaginative and spiky writer. I love the way she blends together several tones or moods in the same book. 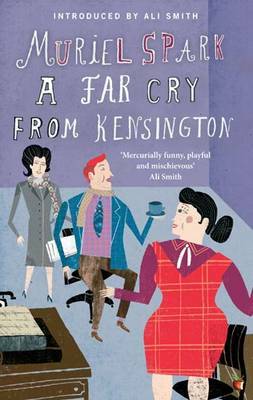 The darkly comic, the tragic, the surreal and the poignant, her fiction seems to have it all. Great Post. I have so enjoyed reading Muriel Spark this year, and I am sure to continue to do so. A couple on your list like Aiding and Abetting and The Public Image I haven read, so perhaps I could read those next year. 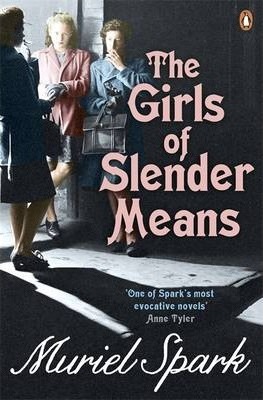 The Girls of Slender Means is definitely a favourite. I think I may have to post a list of my favourite Spark novels at some point to round off my year of #readingmuriel2018. I read your schedule for #ReadingMuriel2018 with the ones you completed in boldface. That is a lot of Muriel Spark for one year. I doubt there are very many other novelists who could hold one’s interest through so many works in such a short time. It took me about 40 years to read that much Spark. One Muriel Spark I have not read is ; ‘The Hothouse on the East River’. The title and your review intrigue me, and that will probably be my next. Oh good hope you enjoy it.